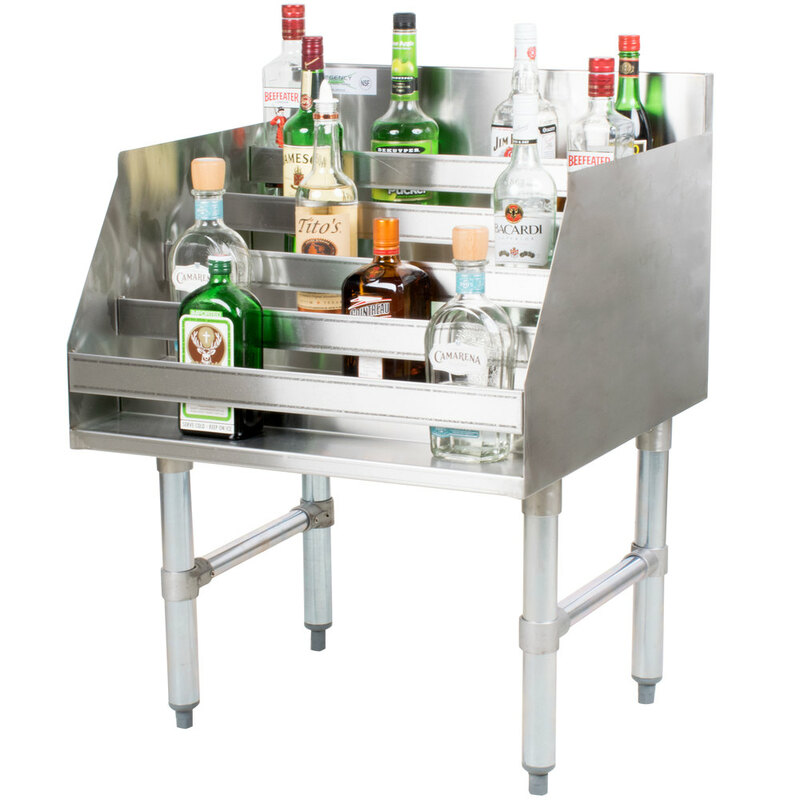 Effectively store liquor bottles within convenient reach of the bartender while creating a unique display for customers with this Regency 24" wide liquor display rack! 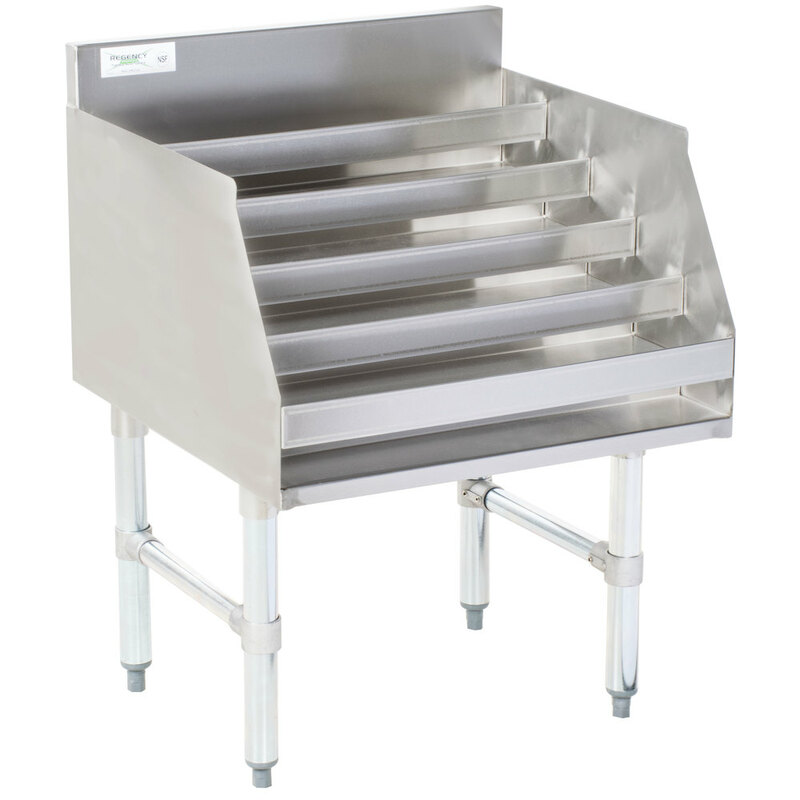 At 23" deep, this rack accommodates approximately 30 liquor bottles and, thanks to the stepped five-tiered design, all bottles are clearly on display at all times within a compact 24" wide footprint. A 3" backsplash helps protect the walls and floor around the unit from accidental splashes and spills, while a 2" wide integrated bar on each tier helps hold bottles in place for added assurance. 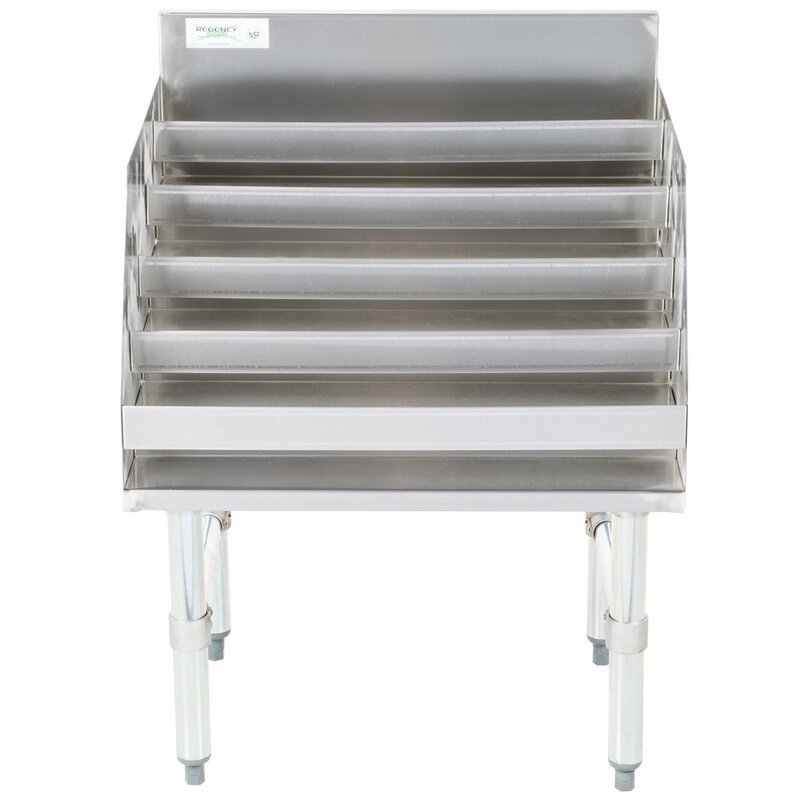 Built for reliable, long-lasting performance, this Regency 24" liquor display rack features an 18 gauge type 304 stainless steel bottom, back, sides, hat channel, and steps. 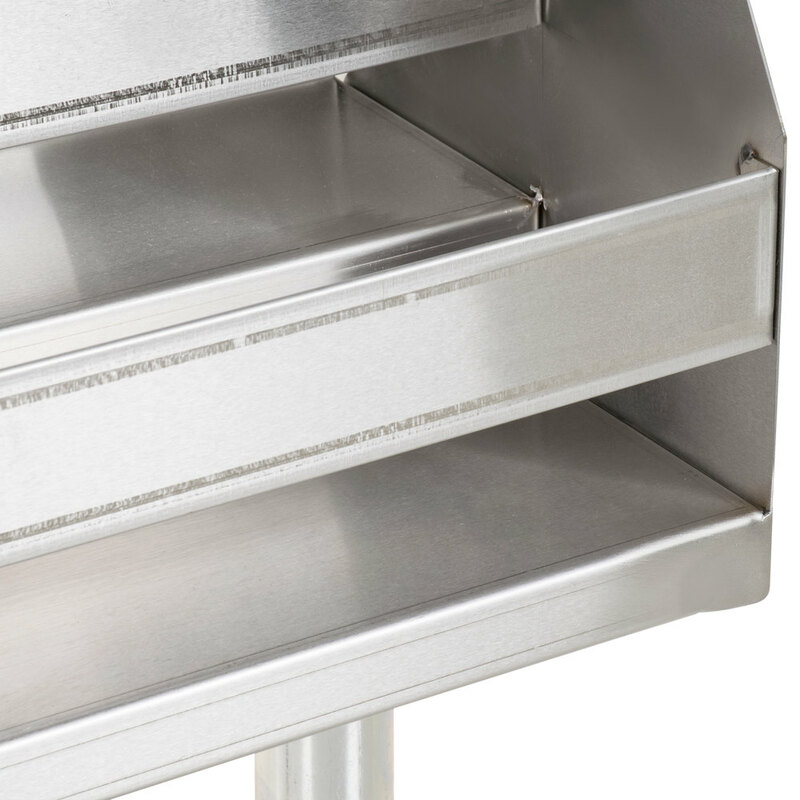 That not only makes for a durable addition to your bar setup, but also one that is extremely simple to clean! 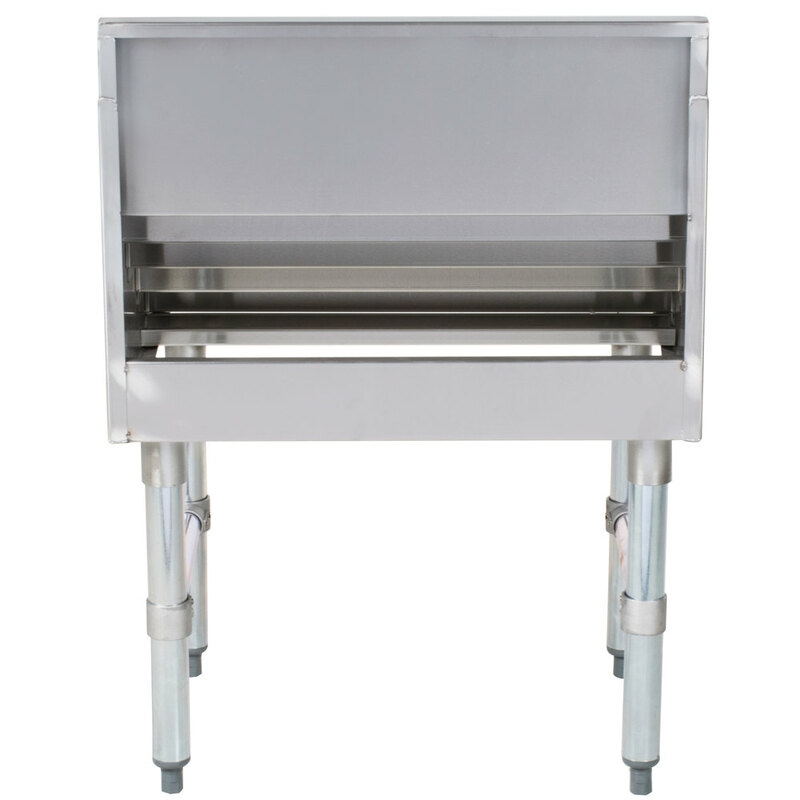 The galvanized legs feature cross-bracing for added stability and rest upon plastic bullet feet.